My problem is the current code that needs to be modified seems to be causing a swirling headache to me. I only know basic html program. the current variables and codes used seems to be unfamiliar to me. I tried to edit but only manage certain variables like logo not to appear as its already been printed to a carbon paper. Also removing the table lines as i dont need it to appear during printing. Can anyone help me out in positioning values? I only know basic html program. Transactions are displayed by themes. Themes are written in Liquid, not HTML. See https://www.manager.io/guides/10368. If you don’t have the programming skills to do what you want, hire a local programmer. Any competent web developer should be able to help. But you are responsible for your own themes. This is not a coding forum. I also question whether this is really necessary. Judging from your form, you are in the Philippines. There are many users from your country already. None have indicated a need for such forms. 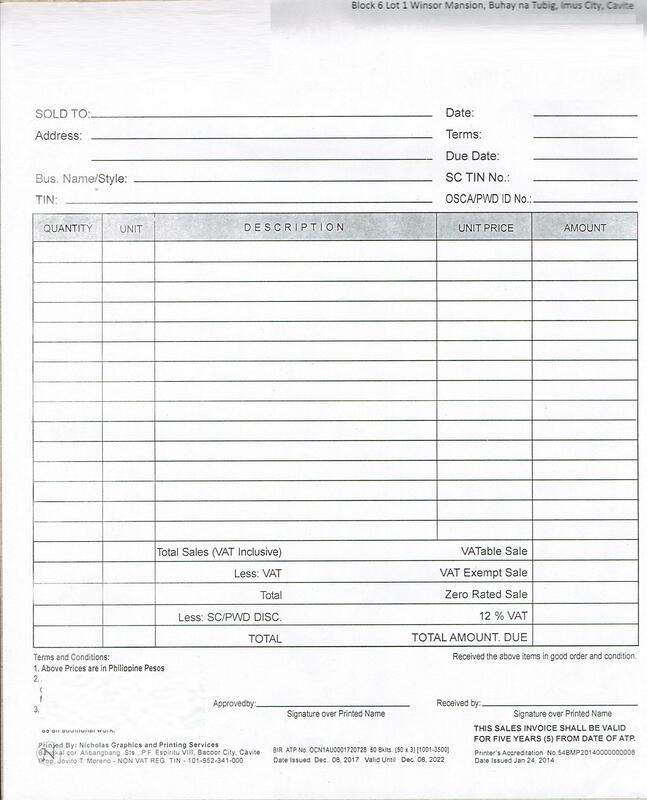 Is it possible that this form is only one possible way of issuing invoices? Also, soliciting or offering work violates the rules of the forum. Your request was edited accordingly. sorry my bad, i didnt bother to read the forum rules. thank you for editing my post.